We had a such a great time at the June 2, 2012, Centennial Celebration kickoff for the West Side Market (WestSideMarket.org - wsm100.org - @WestSideMarket), that we decided to visit the October 7th Cleveland West Side Market Centennial Festival (Twitter hashtag: #WSM100) before attending the play Anything Goes at Playhouse Square (PlayhouseSquare.org - @PlayhouseSquare). 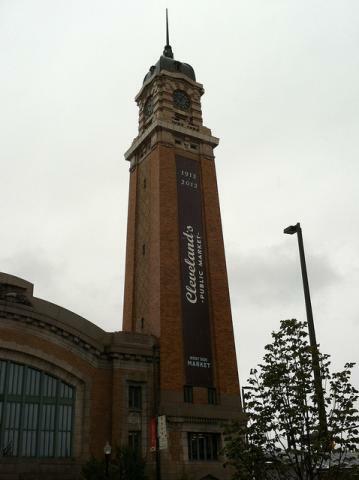 If you missed the West Side Market Centennial Kickoff, we want to invite you to view the fireworks here. Getting ready - #wsm100 should be fantastic! @gelighting is setting up!#WSM100 Stop by our booth today... fun and #energyefficient giveaways! @candrasquire I think he's just about the most beautiful man alive IMHO and he's @westsidemarket @ohiocitytweets #wsm100 today! @joecimperman thank you joe! see you later at #wsm100! so excited for the #WSM100 festival today! so excited for #WSM100...en route to Ctown now.park and ride RTA. We planned to enter more tweets of the day, but ran out of time. The following are our own tweets and re-tweets. @adhicken missed seeing you here. 'Til next time. You will notice that we focused on the food of the market in our photos more than on the festival activities. We also spent some time watching the art work being created at Cleveland's Glass Bubble Project. Go to GlassBubbleProject.com to learn about their hand-blown glass artwork, free public demonstrations, private studio time, and glass blowing classes. 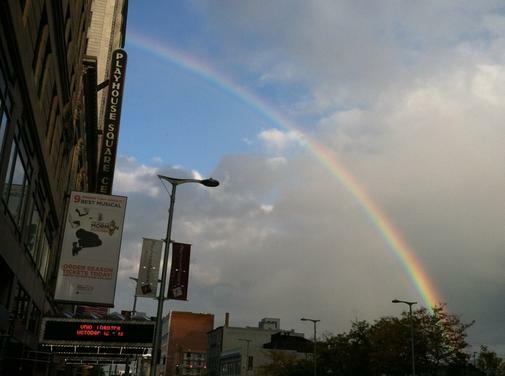 We saw an incredible rainbow while walking from the Playhouse Square Broadway Buzz to the Palace Theatre to see Anything Goes. Please be sure to click on the following photos to view. If you have never attended these Cleveland Playhouse Square free pre-show talks, learn more about the Broadway Buzz here. 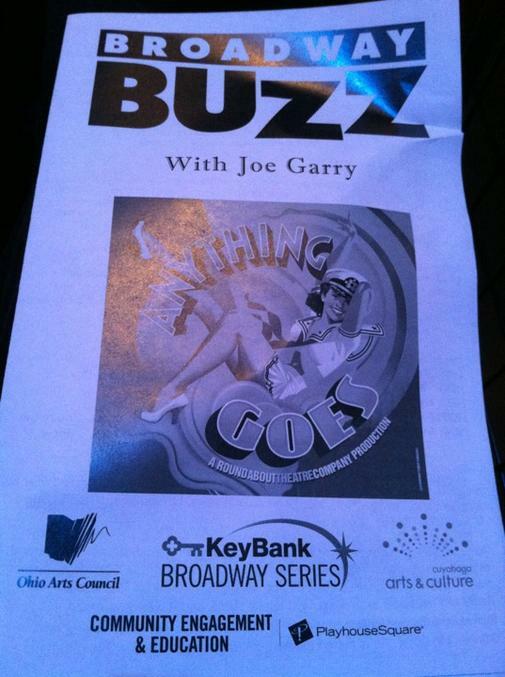 The play Anything Goes is in Cleveland until October 14th at Cleveland Playhouse Square, so get your tickets here. 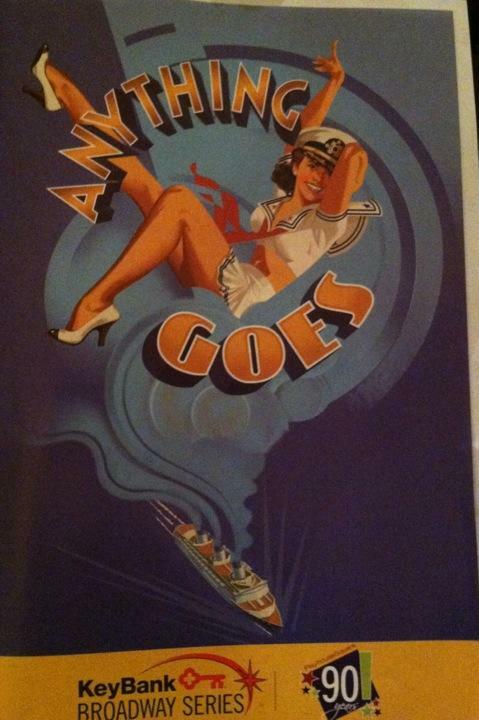 We saw a very full house and a standing ovation, as an indication of the joy the audience got from this Cleveland production of Anything Goes. We want to thank the supporters of this great West Side Market event and of Playhouse Square for making this great day happen for us. We would be very interested in hearing from you all. Please leave your comments below, and if you wrote a blog or shared photos online about the Cleveland West Side Market Centennial Festival, please let Stuart (sos_jr) know. 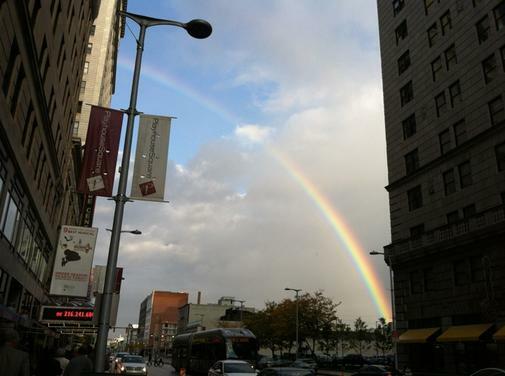 We want to add a link to your blog and share your photos.